Guarantee covers carpet purchased from and installed by Pelletier Rug Co., Inc.
Invoice(s) must be paid in full to qualify for the Right Carpet Guarantee. If you decide you do not like the carpet you selected, you must notify Pelletier Rug Co., Inc. that you are electing to use the Right Carpet Guarantee within 14 days of the carpet being installed. You must then select a replacement carpet. The replacement carpet must be selected within 14 days of electing to use the Right Carpet Guarantee. 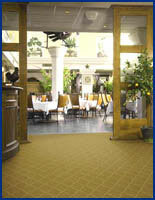 The replacement carpet must be installed within 30 days of its arrival at Pelletier Rug Co., Inc. 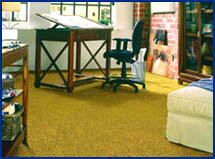 Client may choose any carpet Pelletier Rug Co., Inc. sells as a replacement. If the replacement carpet costs more than the original, client agrees to pay the difference. If the replacement carpet costs less than the original, no refunds will be given. The guarantee is for replacement only. No refunds. The following exclusions apply: Boats; glued down carpet; commercial and institutional applications. The following special cases apply: Stairs. Client to pay $100 labor to replace stairs. Guarantee covers one replacement only. Client must completely empty all rooms to be replaced of all furnishings. Everything. Carpet to be replaced must be maintained in unsoiled condition for return to Pelletier Rug.